Horrible, horrible place. The biker bar across the street and jake brakes trucks on the street will ruin your stay if the office staff doesn't finish you off first. After traveling the country for two years we have never been treated more rudely anywhere. If you can stay anywhere else in the Denver area we highly recommend you seek out other locations! 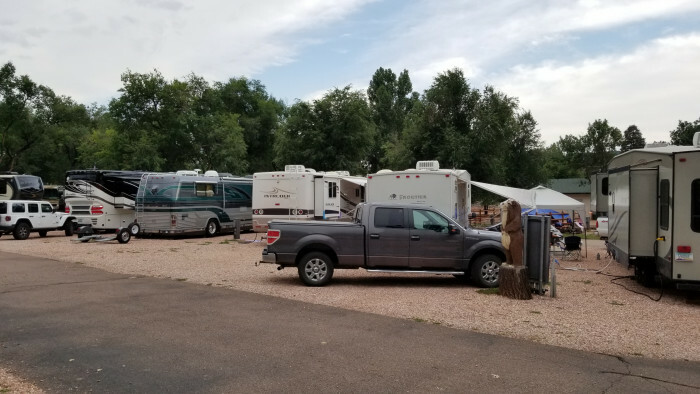 We camped at Dakota Ridge RV Park in a Motorhome. Stay away from this campground and until their office staff is replaced. Otherwise try to stay away from the office!! Lots of unlevel sites. We had to use borrowed boards to level. Sites are gravel, grounds unkept, very close to the next site. This is no resort! We camped at Garden of the Gods Campground in a Motorhome. Pikes Peak and Garden of the Gods are nearby. It's a KOA Journey, so we did not expect much, but the campground looks ill-cared for. You have to do more than paint the picnic tables. Gravel and dirt site. Our site was facing the neighbor. Take your bug spray if you're over-nighting. The mosquitoes are numerous. We camped at Raton KOA in a Motorhome. 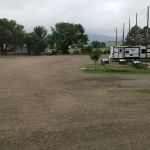 Nice campground with wide sites, long pull-throughs, concrete pads for rig, paved walking area and picnic table surface. Nice dog run areas. Staff friendly. About 20 miles west of Albuquerque just off I-40, but far enough from highway that you don't get noise. Adjacent to casino. We camped at Route 66 RV Resort in a Motorhome. Petroglyph National Monument is nearby. Food in casino was surprisingly not very good. Great meal options in Albuquerque. Needed Cummins regular service and the folks at Cumins Rocky Mountain, Albuquerque Branch were very nice and pet friendly. For the park name to refer to "Toronto" is a reach as the park is one hour minimum drive to downtown Toronto. It is most unfortunate the campground is adjacent to a major four-lane corridor as the truck traffic is HORRIBLE. Even with running our AC fan we heard the trucks through the night. The campsites are laid out so your neighbor faces you. We spent three of our four nights door to door with the neighbor making it uncomfortable for both parties. The WiFi is OK, but goes in and out. 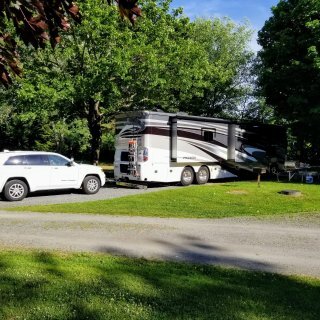 We camped at Toronto West KOA in a Motorhome. We found weekend traffic into Toronto from the west to be trying. Lots of traffic jams and very slow movement. Toronto is great and we enjoyed our days visiting, but the time getting in and out from KOA cut us short due to dogs at "home." Driving a 45' motorhome with a 13'6" clearance to this park is gut wrenching. The trees outside the park, on approach roads are not trimmed and we drug through many areas. No choice but to drive very slow and use all the road in many places. Lots of horns and the finger. Family in a travel trailer were depending on the restroom/showers. What park manager closes both bathhouses in the campground for renovations at the same time? Just idiotic. Otherwise, the park is beautiful. We camped at James Island County Park in a Motorhome. Be prepared for very low limbs across streets leading to the campground. Beautiful campground in the pines. We used it for an overnight stay, but wished we had more time. The pull-through sites were long enough, level and easy to maneuver. Grounds are very well maintained. Large pet run. Everyone was so friendly and lots of walkers. Only a short drive from I-95, but far enough away we did not hear highway noise. Downtown Saint Augustine was about 12 miles. 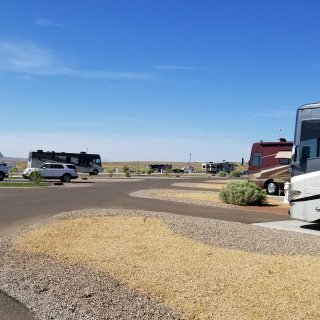 We camped at Stagecoach RV Park in a Motorhome. We had to disconnect because utilities are at the far end of the site. It was no issue as there was plenty of parking room in front of the motor home. Sites are close together, but then again we are close to Ft. Lauderdale and surrounding cities. Site backed up to a canal and amazing yachts passing all day. 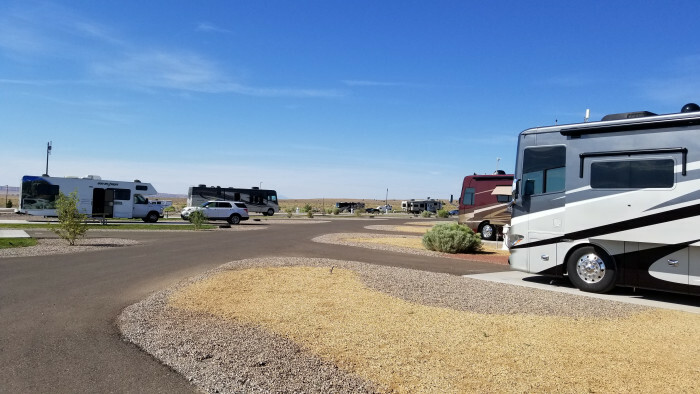 Streets are tight and very "rolling" so your RV will be rocking in and out. No place to hook up the tow vehicle so everyone backs up and blocks the exit road so the locals get aggravated. Most sites are occupied by winter seasonal residents and we definitely felt like outsiders. We waved, they looked and turned away. That said, the office staff were very nice. 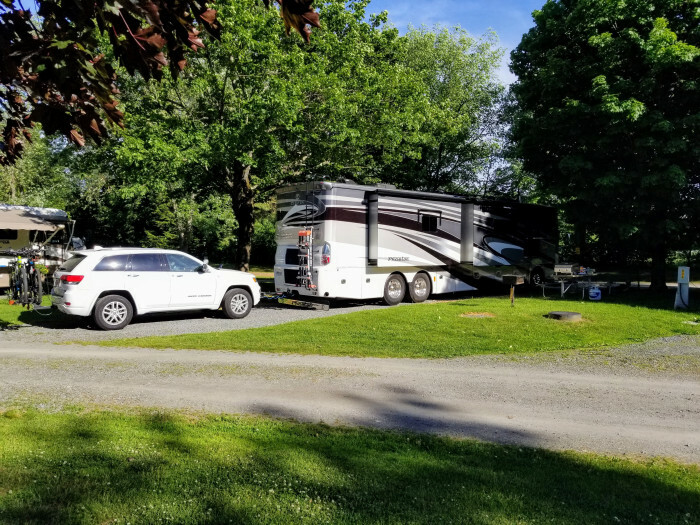 We camped at Yacht Haven Park & Marina in a Motorhome. All retail is convenient. Don't try to get to the beach on weekends as traffic backs up for miles. Great small campground. 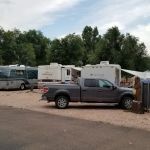 I think only 30+/- campsites, but very well maintained. The sites are a little close together and that's why a 9 instead of 10 rating. BUT, we had an very enjoyable visit. Beautiful sunset gathering area looking out over the Gulf. Dog walk area with lush green grass. 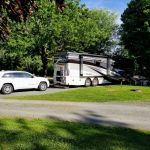 We camped at Grassy Key RV Park & Resort in a Motorhome. U.S. 1 is a two-lane road with many interruptions, slow areas, and subject to closure due to break-downs and accidents. The campground is about 57 miles from Key West so be prepared for a 1 to 2 hour drive depending on traffic. Was expecting so much more than what we found. Roadways are broken and potholed. Sites are gravel, sand, not drained well. Granted we are here in winter, but appearance means allot and this campgound needs work. The other Graceland facilities are in very good condition. 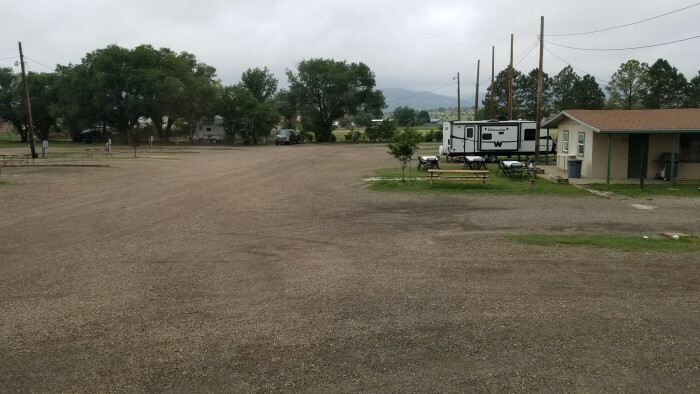 The campground needs investment and upgrades. 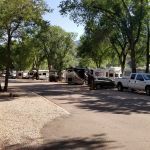 We camped at Graceland RV Park & Campground in a Motorhome. Easy walk over to visitor center and start for tour of mansion. WiFi is useless. Pretty good campground as state parks go. Our 45 footer had to be set far to one end of pull through to get level. There were many level sites, just not ours. The septic connection is about 6" above grade. No cell service in that area and internet is iffy at best. Park is located in a beautiful part of Texas. Go there, just don't expect to be "connected" while there. 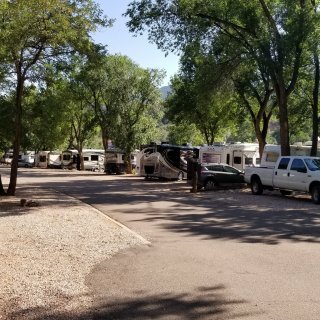 We camped at Davis Mountains State Park in a Motorhome. Roads into and through state park are in need of trimming. TXDOT and state park are not clearing roadways for big rigs, so plan on driving down the wrong side frequently. 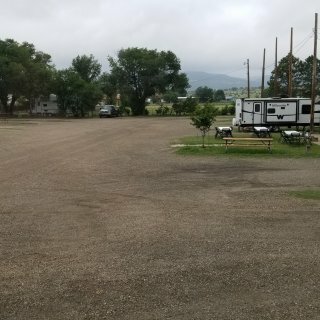 Over the past week I have come to the conclusion that this RV park was probably very nice in the 1990's, but little has been done since that time. The blackberry vines overgrow everywhere and crowd many sites. Paint is peeling and wood rot is evident. 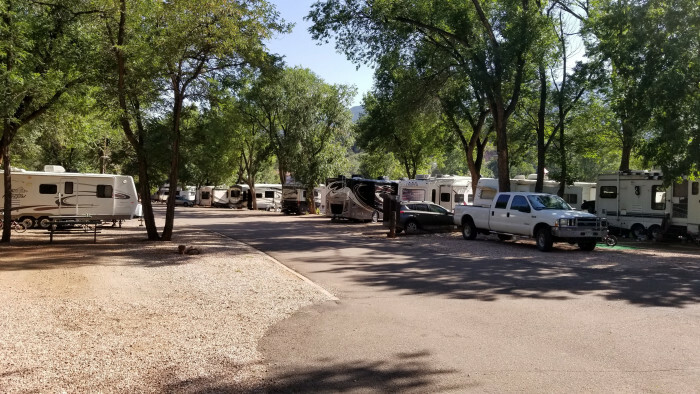 We keep thinking what a nice RV park it could be if effort and some profits were being reinvested. WHATEVER YOU DO USE THE PATRICK'S POINT EXIT OFF 101, otherwise you are in for quite a surprise of tree dodging and very rough gravel roads. We camped at Sounds of the Sea RV Park in a Motorhome. Go see Redwoods State and National Parks. Dogs are not welcome in all Ca. State Parks so get the brochure at Patricks Point State Park just down the road. McKinleyville and Eureka are convenient for shopping.